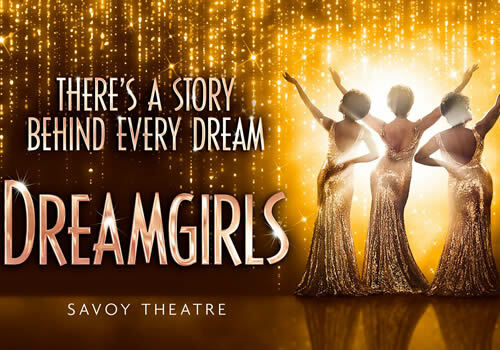 Casey Nicholaw (The Book of Mormon, Aladdin) directs the West End premiere of Broadway smash-hit musical Dreamgirls at London’s Savoy Theatre. Originally taking Broadway by storm in 1981, Dreamgirls received an impressive six Tony Awards, including Best Book of a Musical. In 2006, the musical was transformed into an acclaimed feature film starring Beyoncé Knowles and Jennifer Hudson, earning Hudson an Academy Award for her role as Effie. 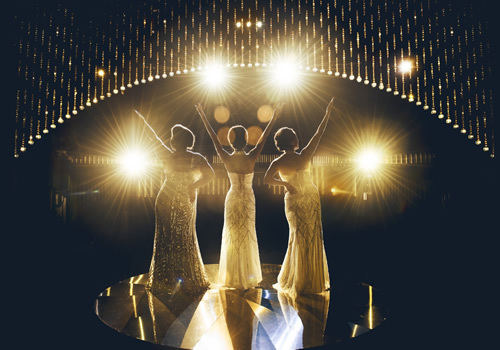 Set in 1960’s Chicago, Dreamgirls follows three girls as they battle to become stars. When The Dreamettes trio earn their big break at an amateur singing competition they shoot to fame, but quickly discover the difficulty of show business, as Effie is side-lined by the group’s manager Curtis Taylor. Taylor places the more appealing Deena as the leading lady of what would soon become “The Dreams”, much to Effie’s dismay. Inspired by Diana Ross and The Supremes, the musical features Motown classics such as “Family”, “I Am Changing”, “One Night Only” and “And I Am Telling You”. Marisha Wallace, Moya Angela and Karen Mav share the role of Effie White, starring alongside Asmeret Ghebremichael as Lorrell Robinson, Brennyn Lark as Deena Jones, Kimmy Edwards as Michelle Morris, Tosh Wanogho-Maud as Jimmy Early, Durone Stokes as C.C. White, Delroy Brown as Marty and Joe Aaron Reid as Curtis Taylor Jr.
Further casting includes Michael Afemaré, Callum Aylott, Georgia Bradshaw, Jabari Braham, Ashford Campbell, Sanchia Amber Clarke, Nicole Raquel Dennis, Nicole Deon, Rhiane Drummond, Ashlee Irish, Emma Louise Jones, Ashley Luke Lloyd, Samira Mighty, Jayde Nelson, Aston New, Sean Parkins, Kirk Patterson, Rohan Pinnock-Hamilton, Ryan Reid, Rohan Richards and Joshua Robinson. 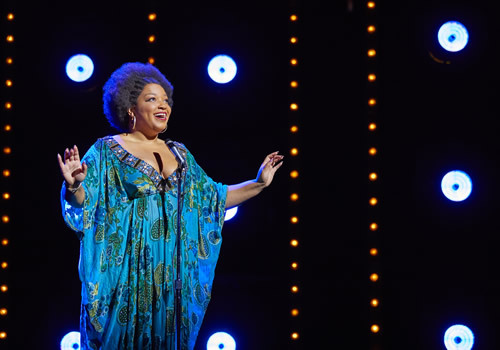 Dreamgirls includes an award-winning book and score by Tom Eyen and Henry Krieger. 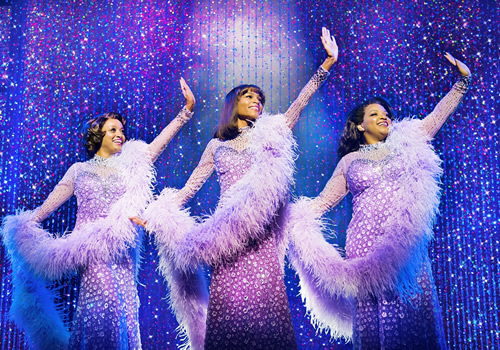 Playing at London’s Savoy Theatre, Dreamgirls is the five-star, hugely entertaining hit musical, including a large amount of the show’s original choreography as well as recognisable, smash-hit songs. 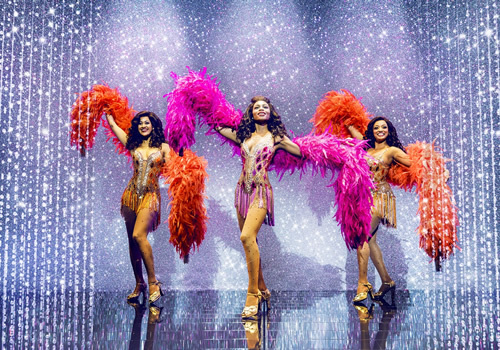 Dreamgirls contains mild adult themes and is recommended for ages 8 and above. Children under 3 are not permitted.